Family members of many officers attended to see their loved ones recognized for their bravery and quick response. 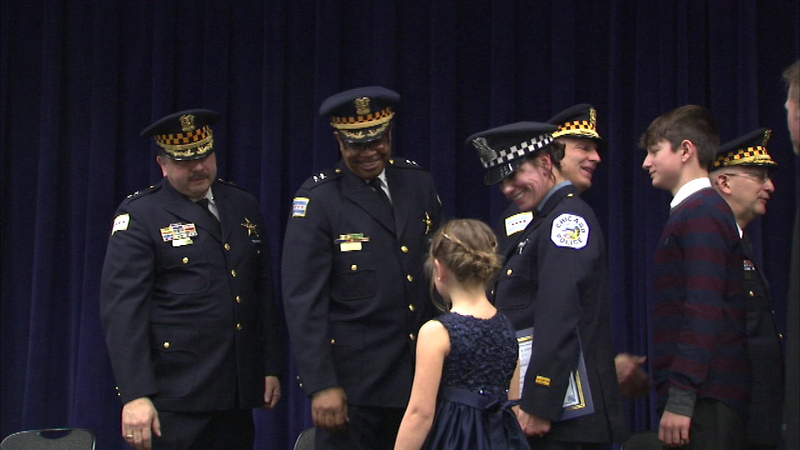 CHICAGO (WLS) -- More than 250 Chicago police officers received commendations Tuesday for outstanding work. Family members of many officers attended to see their loved ones recognized for their bravery and quick response. Three of the officers honored pulled a woman from a burning car. Chicago Police Supt. Garry McCarthy says all of the officers are heroes for the things they do every single day.